You are here: Home / Climate / Sea level rises "decelerating"
One of the biggest scares used by this government for action on climate change is the threat of rising sea levels, inundating coastal regions and flooding low-lying islands. The IPCC has predicted rises of up to 59cm by 2100, but the Labor government has exaggerated even this, often quoting rises of up to 1m. ONE of Australia’s foremost experts on the relationship between climate change and sea levels has written a peer-reviewed paper concluding that rises in sea levels are “decelerating”. The analysis, by NSW principal coastal specialist Phil Watson, calls into question one of the key criteria for large-scale inundation around the Australian coast by 2100 — the assumption of an accelerating rise in sea levels because of climate change. Mr Watson’s findings, published in the Journal of Coastal Research this year and now attracting broader attention, supports a similar analysis of long-term tide gauges in the US earlier this year. 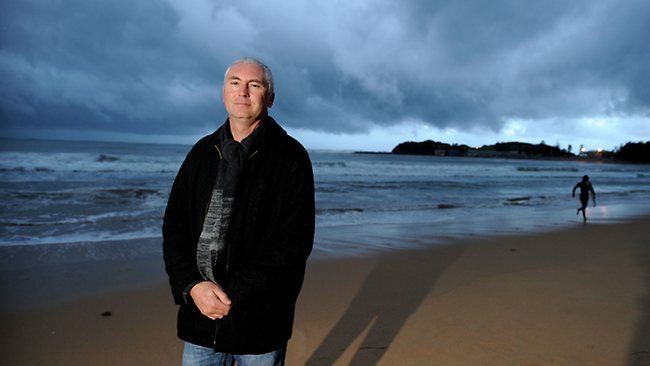 Both raise questions about the CSIRO’s sea-level predictions. As usual, the models are incomplete and unreliable and are no basis for government policy. And I wonder if Gillard and Combet (and Labor MP in drag Malcolm Turnbull), who are always saying we should “trust the science” will be taking note of this? Doubt it – doesn’t fit with their pre-conceived agenda. THE federal government’s Parliamentary Secretary for the Pacific, Richard Marles, used dire warnings of rising sea levels and the impact on low-lying islands to urge the UN to adopt climate change as a global security issue. Evoking images of standing atop Majuro atoll in the Marshall Islands and feeling the “intense vulnerability” of a flat landscape against a rising sea, Mr Marles said that a sea level rise of 1m could lead to the erosion of up to 80 per cent of the atoll, which measures just 3m at its highest point. However, a new paper in the Journal of Coastal Research by Murray Ford of Hawaii University, based on an analysis of 34-37 years of aerial photos and satellite imagery, says sea levels are only rising around Majuro by an average 3mm a year. If the present rate of rise is maintained, the total rise at the start of the 22nd century would be about 27cm. Mr Ford found that while the rural lagoon shore is mainly eroding, “the ocean-facing shore is largely accreting”, or growing, although that may be in surface area rather than in depth. Strong pleas from Mr Marles and Nauru’s President Marcus Stephen in New York on Wednesday failed to convince the UN Security Council to adopt climate change as a priority. Climate sense from the UN? Am I dreaming? Is this the Australian editors response to the petulant shrieking and demands for censorship from the Greens? Andrew Bolt’s warning applies to Brown and his mad mob as much as it does to the rational. I just can’t wait to hear the Governments response to this bit of news. I certainly hope this news helps those people that have not been allowed to build on their own land or renovate. So many councils around OZ have used the “sea level rise” as an excuse to stop people doing what is their right to do. Now at least they have something they can fight their councils with. As host of the ABC’s Science Show, what and abject disgrace he is to the name and tradition of Science. The Nongovernmental International Panel on Climate Change (NIPCC) has a specific section relating to Australian sea levels. Which makes a bit of a mockery of this nonsense … “changes we have seen over the 20th century include increases in global average air and ocean temperature, widespread melting of snow and ice and rising global sea levels”. Back (2009) – not so very long ago American Thinker ran an article entitled: Sinking Islands or Stinking Islands…… a great read/re-read on the topic of sea level rise, the IPCC and money for smaller nations etc….. same old same old!!! This will not get a mention in warmist political circles.As we all know Gillard, Combet Flannery Garnaut Turnbull and co cannot agree to the validity of one single piece of evidence that may contradict their AGW creed.They say the science is settled and demand respect for “the” science.We can only hope a few more scientists dare to come out from their laborotoy coocoons and fess up to their doubts. I will read in detail, thanks. But it surprises me that the JCR apparently doesn’t have any peer reviewers who would have picked up the same problems (as one commenter noted). Not sure what qualifications tamino has but I’ll stick with the BOM data! I would suggest that you google “sea level change fort denyston Sydney” and you will find two reports that contradict your data. Also the main point of the tamino blog was to show that the data presented did not show deccelration. Sealevel raises when water gets colder, not warmer. 80% of all the water in every sea and ocean combined is below 5degrees. Seawater below 5C degrees if it cools more, it expands. Fill a bottle of seawater at 4degrees and put it in the freezer = after cooling by couple of degrees, will explode. Fill the same bottle with seawater at zero degrees – warm it by 4-5 degrees = will shrink by 5-6%, depends on impurity. Nevertheless, if 1km deep ocean shrink by 4% = 40m shrinkage. Average dept of the ocean is 2,3km. If some beach is sinking, is because of readjusting of the tectonic plate + silt regulary washed by rivers 3-3mm a year. Most of the places land /mountains are raising. Get corect proofs on http://www.stefanmitich.com they are not just wrong, but are back to front on everythyng also.